Diary of a Wimpy Kid: Rodrick Rules (known in other countries as Diary of a Wimpy Kid 2: Rodrick Rules) is a 2011 comedy film loosely based on Jeff Kinney's book of the same name. 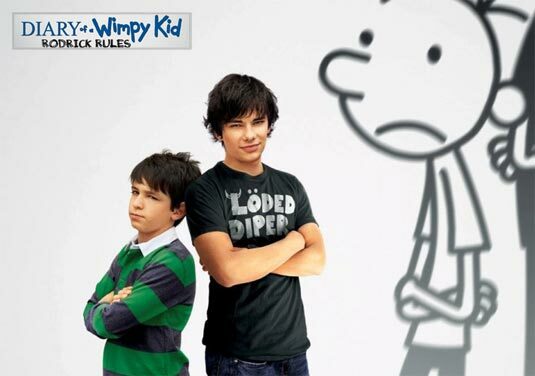 The film stars Zachary Gordon and Devon Bostick. Robert Capron, Rachael Harris, Steve Zahn, and Peyton List also have prominent roles. It is the second film in the Diary of a Wimpy Kid film series preceded by 2010's Diary of a Wimpy Kid and followed by 2012's Diary of a Wimpy Kid: Dog Days.